This Grand Rapids Big Band has been entertaining in the West Michigan area since 1976. 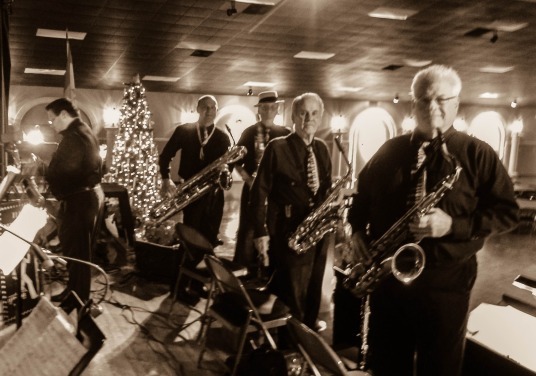 Known for being the high society dance band that plays all the standard swing tunes, it has performed at receptions honoring Presidents Bush, Ford, and Reagan, for the Michigan Governor’s Ball when John Engler was inaugurated, for music festivals, company parties, and wedding receptions. The singer-performer joined the band as a young vocalist in town and has since shared her musical style with orchestras from Portland, OR, Lexington, KY, Grand Rapids, MI and last summer to Guatamala. Whether singing the blues or belting out a hot chart, she provides energy for every occasion. 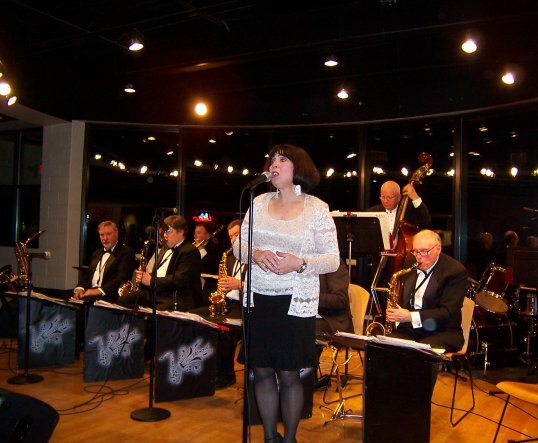 The leader of this Grand Rapids Big Band, a retired music teacher who performs, composes, arranges, and directs for various musical groups in the Grand Rapids area, has led this big band to being the premier swing band everyone wants for their next event.